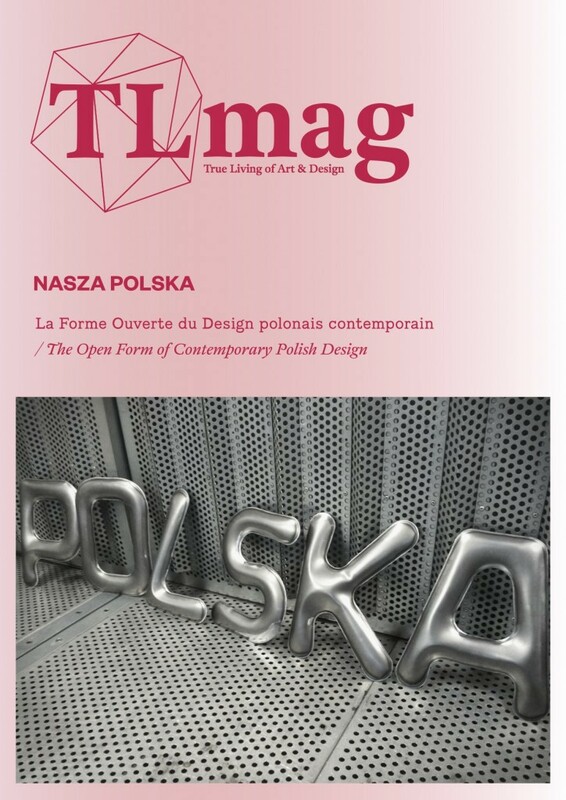 With Nasza Polska (translating as ‘our Poland), Pro Materia and TLmag brought contemporary Polish design into the spotlight. After an extensive tour in Warsaw, Cmielow, Lodz, Poznan, Wroclaw, Krakow and Szumin, this publication gathered up-and-coming talents, established studios and legendary masters – working in Poland and abroad. A curated selection of their most recent creations are revealed during the 2014 Paris Design Week and Design September Brussels: Edgar Bak, Agnieszka Bar, Marek Cecula (Modus Design and Cmielow Design Studio), Stanislaw Czarnocki, ENDE (Natalia Gruszecka and Jakub Kwarcinski), Pawel Grobelny, Maria Jeglinska, Ola Mirecka, Krzysztof Lukasik, Jan Lutyk, Bartek Mejor, Monika Petuszynska, Chmara Rosinke, Studio Rygalik, Bashko Trybek, To Do Studio (Kasia Jakubowska and Tomasz Orzechowski), Mateusz Wiewiorowski, VELT, Oskar Zieta, a selection from the New School of Form in Poznan and the Academy of Fine Art and Design Wroclaw/ glass department.